♥ Isn’t that the whole idea? It is your day, your decisions, your memories, YOUR WEDDING. What is best for your individual circumstances? Where do you want to get married? Wishing Well Weddings will come to where you want to be married. We have done intimate home weddings as well as extravagant reception hall wedding ceremonies both inside and out any time of the year. Whether large or small, OUR PRICE IS THE SAME! No hidden “extras”. Why settle for a justice of the peace officiant or a cold and sterile judge’s office when you can get married in a meaningful and memorable place? The point is . . . you can be married wherever you want! You are only limited by your imagination and resources! From romantic to practical or for the convenience of having your reception and ceremony all in one place. That is what Wishing Well Weddings is all about. Why choose us? First of all, Rev. Tab is a REAL ordained wedding minister–for over 20 years! We care . . . we really do. There isn’t a wedding we do that is routine. We include FREE ceremony coordination services, if needed. Having a minister is great, but who helps you with the processional and all the last minute details? We try to make your BIG day as worry free as possible. Just read a few of our REVIEWS from our couples and you will know why Wishing Well Weddings is a cut above the rest. Below are several pages of some of the beautiful wedding ceremonies Rev. Tab has performed for your enjoyment . . . we look forward to the chance to meet you and hope to help you plan YOUR special day! ENJOY! This entry was posted on April 25, 2017, in Michigan Wedding Minister. Just got this wonderful picture from a Fall 2016 Bride. I knew the groom had planned a special kiss, but we were all delighted with this most excellently executed dip! One for the memory books at Fern Hill. This entry was posted on February 1, 2017, in Formal Weddings, Michigan Outdoor Weddings, Michigan Wedding Minister, Military Weddings, Ordained Minister, Rev. Tab Martin, Wedding Ceremony, Wedding Officiant. When this out of town couple arrived for the rehearsal, they were quite frazzled with the week’s events, only to discover that the event planner was not going to make it. We conducted the rehearsal and assured them that everything would be perfect on their wedding day. As the time neared for their ceremony to begin, Melanie went to check with the event planner on beginning the ceremony. The young girl said this was going to be her first wedding and she did not know what to do . . . thank God, Melanie had been at the rehearsal and stepped right up to make sure this couple got the best wedding despite the disorganization of the staff. The entire wedding party, bride and groom and parents were so grateful we had their backs and made for a flawless entrance and ceremony. it! This entry was posted on November 11, 2015, in Michigan Wedding Minister and tagged Christian wedding minister, how to find a wedding officiant, Macomb County Weddings, Metro Detroit Weddings, MI Wedding, Michigan Christian Minister, Michigan Outdoor Weddings, Pine Knob Carriage House, Rev. Tab Martin, St. Clair County, Wishing Well Weddings. This couple had gotten married the year before and then had second thoughts on wanting to renew their vows in a ceremony setting as they were not pleased with the way they did it initially. So, in front of family and friends, they said their vows again, and got to incorporate the bride’s daughter in the sand ceremony. They were so thrilled with the repeat performance, as they said their first wedding minister was awful and they were so happy they had found Wishing Well Weddings! This entry was posted on November 11, 2015, in Michigan Wedding Minister and tagged Christian wedding minister, Macomb County Weddings, Metro Detroit Weddings, Michigan Christian Minister, Michigan wedding vow renewal, Officiant for wedding, Rev. Tab Martin, Wedding Ideas, Wishing Well Weddings. 2014 Gold Cup Race Wedding! This entry was posted on July 19, 2015, in Michigan Wedding Minister and tagged Christian wedding minister, Fun Weddings, Macomb County Weddings, Michigan Christian Wedding, Michigan Outdoor Weddings, Michigan Wedding, Rev. 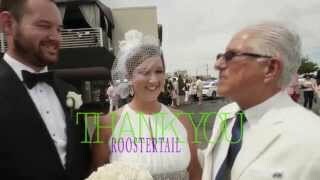 Tab Martin, The Roostertail, Wishing Well Weddings. A Look Past . . . This entry was posted on June 11, 2015, in Michigan Wedding Minister and tagged Fore Lakes, Greystone Wedding, Macomb County Weddings, Metro Detroit Weddings, MI Wedding, Michigan, Michigan Boardwalk wedding, Michigan Chapel weddings, Michigan Christian Wedding, Michigan Outdoor Weddings, Michigan Wedding Officiants, Officiant for wedding, Rev. Tab Martin, Southgate, St. Clair County, The Grecian Center, Thumb Area Weddings, Twin Lakes, Wishing Well Weddings, Zuccaro wedding. MTV Episode – I am on MTV!